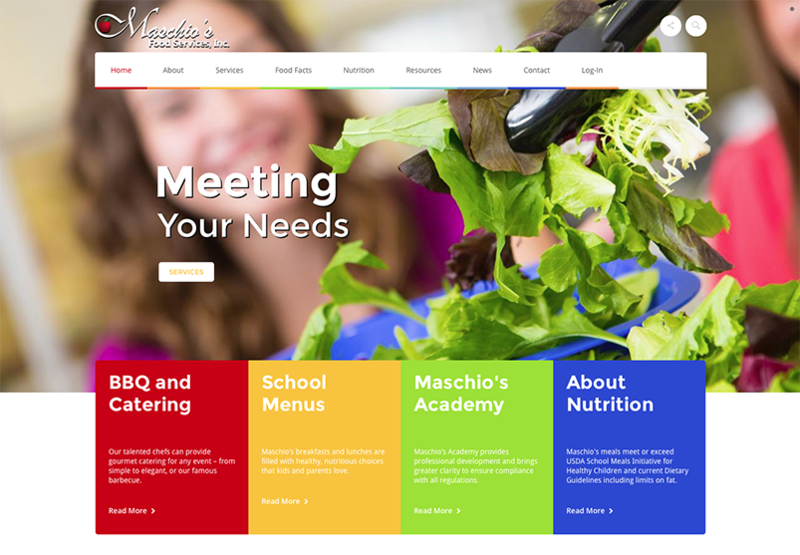 Maschio’s food service provides food for nine school districts in New Jersey. The custom WordPress website is 200 pages with online ordering capabilities. In addition to the main site, each school district has its own website with a welcome page, and a page that lists the schools in that district with links to each schools menus and specific nutritional information. The districts vary in the number of schools k – 12 from two to nine. Customizations to the template included editing Woo Commerce for the Nutrition section, adding an employee portal, and adding online ordering for two districts.